As a senior citizen and retiree, I have lived through many presidential administrations and, like so many others, can make a comparison. However, in my opinion, the one that we are in now stand out more than all the others combined and it’s not for the good. Although this administration is in it’s infancy in my eyes it have caused more hate and discontent among all the different parties than anyone I can remember in history. But, take a moment and just imagine these things. Compare things President Obama have done or tried to do, because President Trump dislike him so much, with President Trump and the things he and his people have done and want to do. Just imagine the uproar that would have been sounded with a tenth of the things Trump is doing. Not only think about the tweets but the phone calls, smugness and overall dislike by the world community. 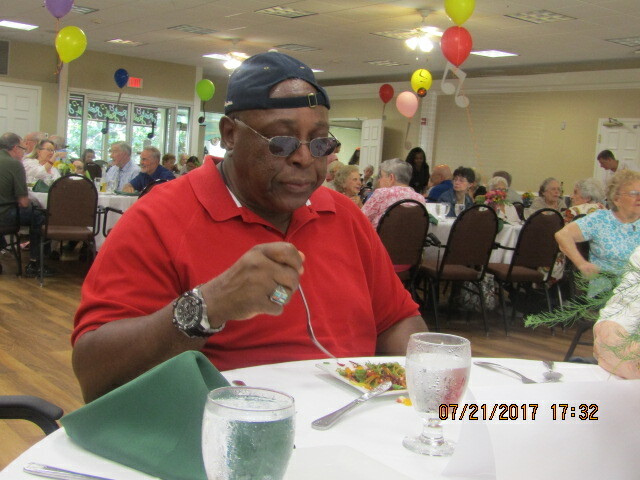 The world community, in my mind, count more than anything that have been done because we can not be alone in the world and survive (read my religious blog entitled “No Man Is An Island” at faithingodministries.net). We must have countries that count and trust in us and we have to stand by them as our needs arise. Just imagine what would have happened or said if Obama was caught up in the Russia ruckus and people perceived him of ling. Just imagine what would be said or happened if Obama tweeted instead of conversing with the people or his cabinet. Just imagine what would have been said if the medical bill came out of the House and Senate the way Trump’s did. Just imagine what would have been done if as many people nominated to be in Obama’s cabinet were proven to be unqualified as Trump’s have. Just imagine what would have been done if Obama was unprepared to run the administration as Trump is. Just imagine what would be said if Obama abandoned the environment. Just imagine Obama saying thousands of jobs were created but only hundreds were. Just imagine the uproar the Obama nepotism would cause. Just imagine the uproar if an unqualified Obama family member sat at a world leader’s table. Or simply imagined what would have happened if a special prosecutor was formed to look at things. Just think about the comments if Obama’s wife refused to hold his hand or a foreign leader bypassed his hand for another. I could go on and on but I’ll stop at just a few “imagine” and let that sink in. It’s not that I dislike Trump it’s I dislike unfair treatment of the one man over the other and the attempted coverup of almost everything. Fair is fair and to dismantle a legacy because of a dislike of Obama, although the actions were honest and good, is ludicrous. To lose a fabulous world standing because of insane speech and actions should give pause. Then with more and more accusations of Russian collusion, Obama would have been run out of office but Trump gets a pass with very slow investigation. There seem to be not only his hired people but also the family that is involved with the Russians. Hopefully Congress will find enough spine to do something before it is too late for this country. This country has always been great and it never went down hill until now. To be the most disrespected nation where few want to shake our President’s hand is just head shaking wrong. As the other free countries need us, we will need them and now it’s up in the air if we can count on them as we intentionally isolate ourselves. Us against the world won’t work and to blame ex-President Obama for the debacle is not only false but a shame. As a senior citizen/retiree I do not have many more years to care about it, I just want you to think of that someone thinking for you and filling your mind with lies, geared to deflect you from seeing what is happening. But do not think it is no concern of yours or your way of living. It will effect your way of life, especially yours and family. Politics is politics and there is no way pass it. But for those of you that wanted him, you have him. I want to add one more thing if you think seniors don’t know how to have fun. 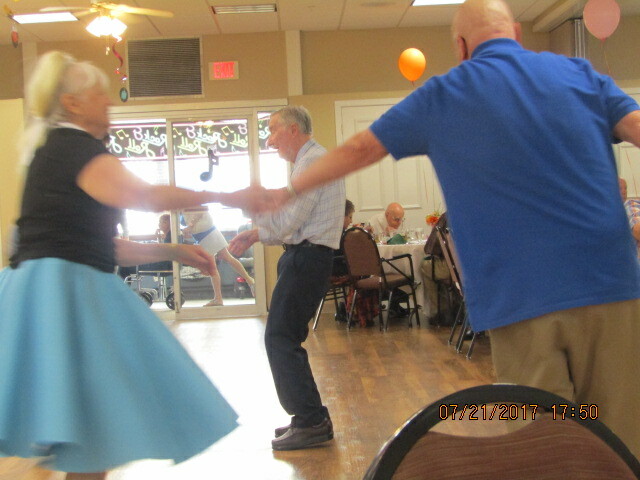 I have added our monthly “Dinner Dance” that is held at Imperial Plaza. 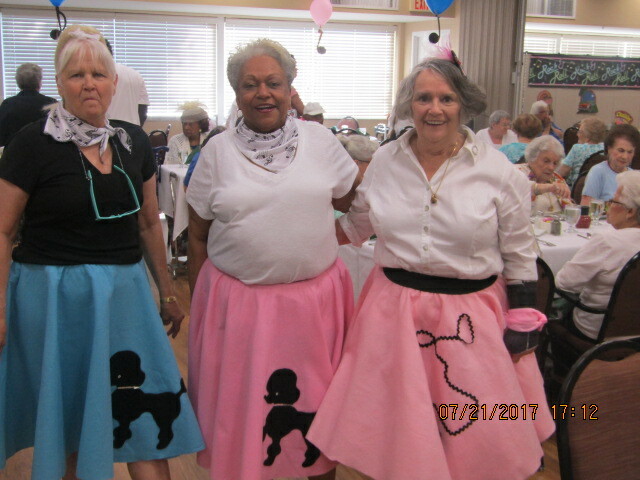 This month’s theme was “Sock-Hop” and many dressed as they did in that era. Each month is different and, with a live band, dinner and drinks, we tend to have lots of fun with the cares and worries of the world not even thought of for a couple of hours. What is life without FUN?? ?